[G] Absorb: 10 damage. 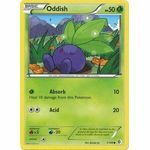 Heal 10 damage from this Pokemon. 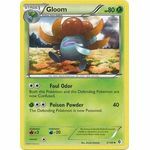 [C][C] Foul Odor: Both this Pokemon and the Defending Pokemon are now Confused. [G][C][C] Poison Powder: 40 damage. The Defending Pokemon is now Poisoned. 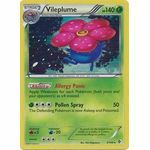 Ability: Allergy Panic: Apply Weakness for each Pokemon (both yours and your opponent's) as x4 instead. [G][C][C][C] Pollen Spray: 50 damage. The Defending Pokemon is now Asleep and Poisoned. [G] Grass Knot: 10+ damage. 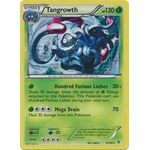 Does 20 more damage for each [C] in the Defending Pokemon's Retreat Cost. [G][C][C] Petal Dance: 50x damage. Flip 3 coins. This attack does 50 damage times the number of heads. This Pokemon is now Confused. [G] Nap: Heal 30 damage from this Pokemon. [G][C][C] Vine Whip: 50 damage. [G] Hundred Furious Lashes: 30x damage. Does 30 damage times the amount of [G] Energy attached to this Pokemon. 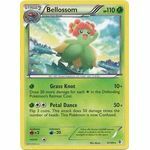 This Pokemon can't use Hundred Furious Lashes during your next turn. [G][C][C][C] Mega Drain: 70 damage. Heal 30 damage from this Pokemon.